Consists of 5 Gal. 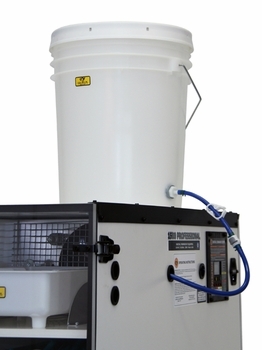 Reserve tank, connecting hose, with quick disconnect coupling and constant level humidity pan with 2 humidity pads, for increased humidity at time of hatch. For all GQF Cabinet Incubators. Standard shipping can not be selected for this item.